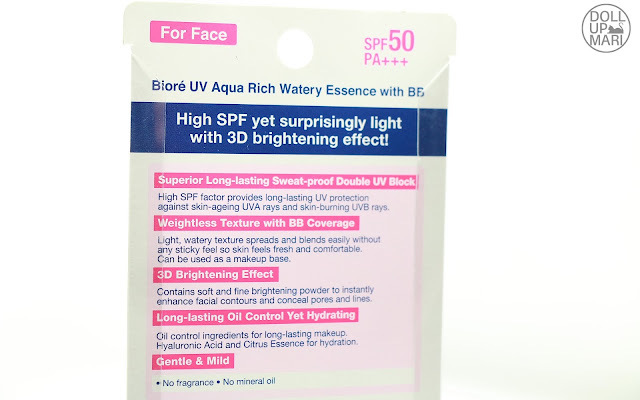 I can't believe that after blogging for so long that this is, if I'm not mistaken, my first ever sunscreen review. Whew! I've technically been required to live off sunscreen and BB cream since I went through puberty because my relatives from the father's side have nasty cases of sunspots. I wish that their sunspots were cute freckles, but no, they are so dense and so dark that they are birthmark level. I have an aunt who had laser treatments to get her sunspots off because it was that extreme. And this is why I have been using sun protection products all the time for the longest time. They just haven't been popping up on the blog because they run out before I can even take decent product shots. But this time, when Bioré sent me this sample of their new BB Cream, I really just had to discipline myself and take the photos first hahaha. This is how the packaging looks like. This is honestly very confusing to the eyes because you don't know if it's BB Cream or sunscreen from the first glance. I think it's safe to say that this is more of a sunscreen than a BB Cream. 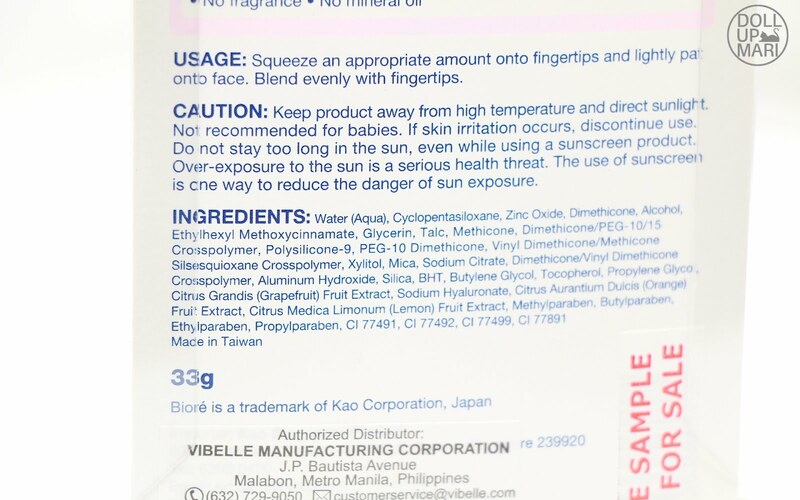 This is a sunscreen with some properties of a BB Cream, not a BB Cream with a high SPF. I feel that to some people it will not matter, but to set more proper expectations, yes, it's more of a sunscreen. There really is no word as to whether it's a BB Cream or Sunscreen (the gatas na choco? or choco na gatas? tagline is playing in my head now). I am on Team Sunscreen. Moving forward, though, these are the product's promises. It promises a sweat proof clinging onto the skin, a BB Cream-like glow and skin texture, oil control, hydration, and the promise of gentleness and mildness. This surprisingly has no fragrance and no mineral oil. I never actually thought that companies would be able to create sunscreens with high SPF levels without the odor (which I think is attributed to the titanium dioxide)! Surprisingly, there is no titanium dioxide, and I think zinc oxide was used in its place. Perhaps this is why it has no smell. And here is the complete ingredients list. 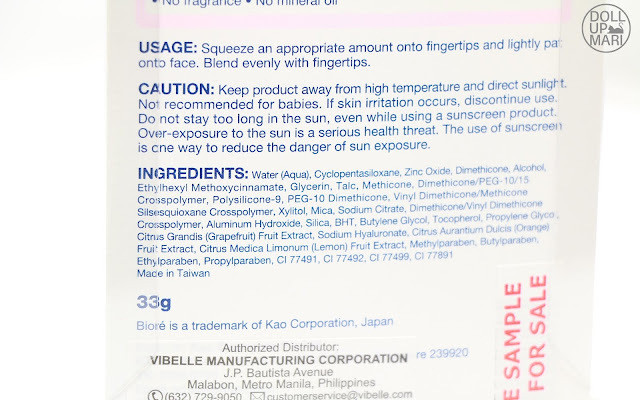 I am quite surprised at how much preservatives there are (it's the first time I'm seeing a product that uses four kinds of parabens, usually it's just one or two kinds). The size is the typical tube size for most base makeup products. I don't have any comments over the packaging. It's just your basic sturdy plastic tube. It's not as runny as most sunscreens, which is why it is able to sustain some peaks when you take a goop out. I did not bother swatching this because I kinda figured that the shade would be too sheer to actually matter to anyone. It's a mellow beige with some touches of yellow. I like that for once, there is a sunscreen that doesn't sting my eyes (when I would apply other brands, just accidentally going near the eye area already makes me tear up). 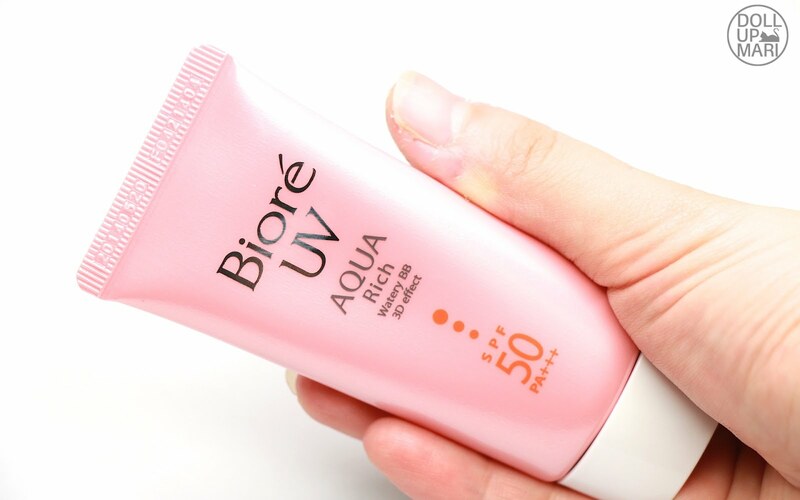 Application wise is where the BB Cream behavior comes out because it is not a runny, oily, and immensely dense formula. Instead it's a light, whipped, icing-ey formula that spreads out fairly easily and doesn't feel greasy during application. Perhaps this is the other testament of the BB behavior? I am in love with this whole new generation of tinted sunscreens because I know I'm one of the few people in my circles who can use the dense white ones without looking like a geisha. Since it is more of a sunscreen, it doesn't have a very heavy coverage. If you do not have a lot of discolorations, and if you are often in air conditioned spaces, you can actually go through the day with just this product. I also feel the BB aspect because it gives you a nice glow. You feel like the change is so little coverage wise, but you feel that you look so different before and after the application. It must be the glow. But of course, it still is more of a sunscreen at the end of the day. 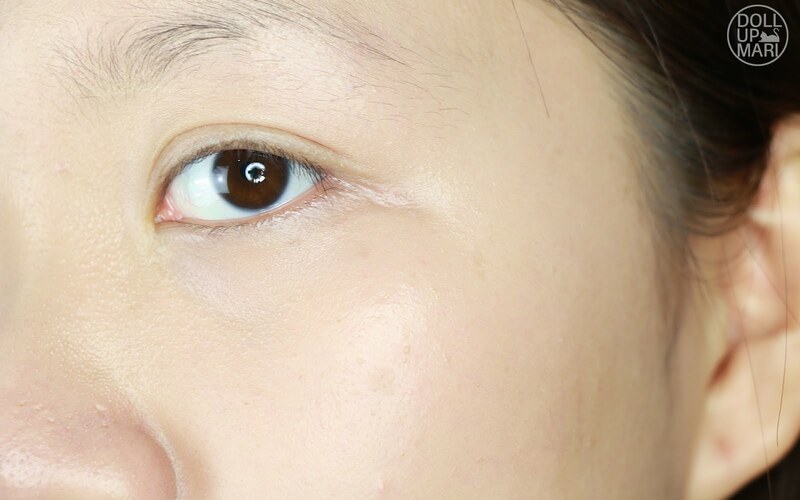 It's not dense enough to cover my dark under eye circles and other discolorations. To add, for someone who is so used to wearing BB Cream everyday, it felt weird to not feel like having anything on that I actually put BB Cream after I took these photos. If you are not used to makeup, you will love this product as it will be a very hardworking product for you. 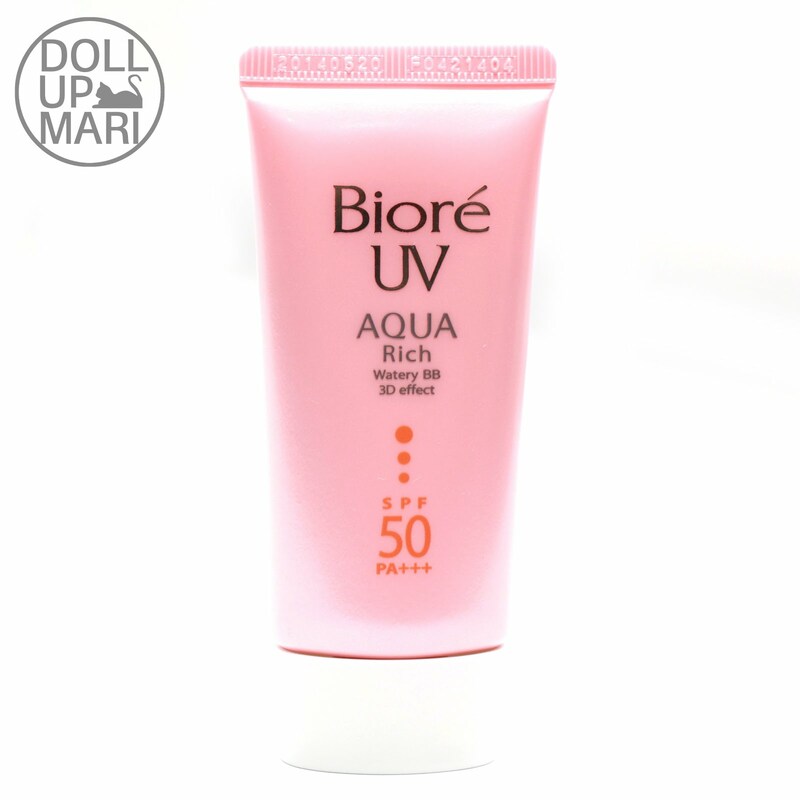 If you are used to wearing makeup, you will feel like this is more of a primer than a base. Texture wise, it was true to its promise and provided a reasonably good texture. I have a lot of blemishes, and they did not disappear totally with this product, which is why I can't say that it provided a total texture refinement. But relative to the other sunscreens I have used (which usually exacerbate the blemish situation and make them look more obvious), the fact that this did not exacerbate the problem is fairly good enough for me. I went to a party, and it was an open air space which was really hot. I like how this did not drip off my face when I had this on. I also appreciated that with light patting with tissue or a towelette, you can get sweat off without getting the product to go with it. I feel very excited to wear this to physically demanding events because it'd be very awkward if I had BB Cream on and there'd be so much of it transferring to my clothes and everything. 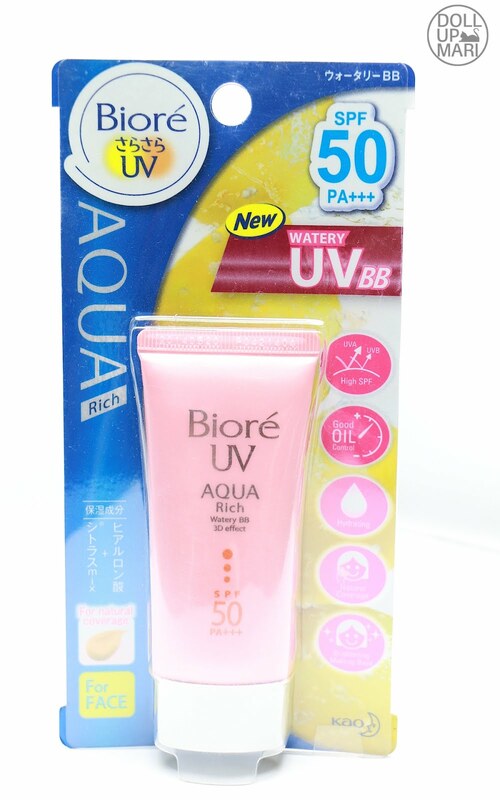 It's Php450 per tube, which I think is fine for sunscreen (other sunscreens are usually priced like this). I feel that the product is hardworking in itself, but I'm not sure as to how this will play out in some consumers' lives. 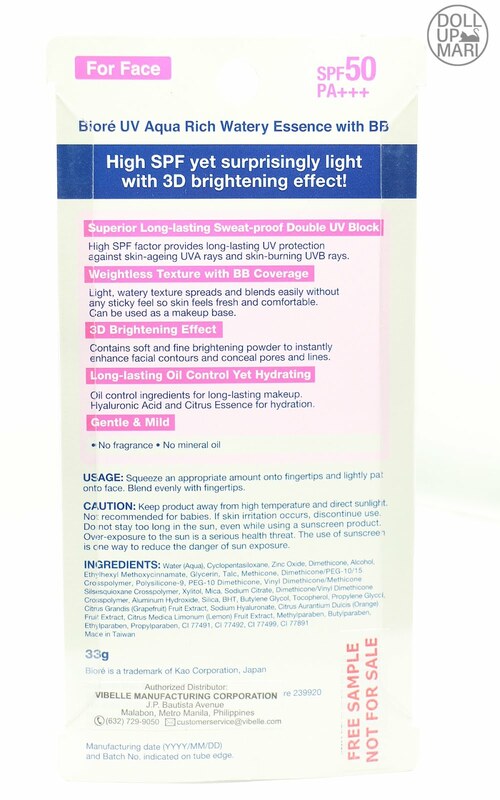 I know of people who only wear sunscreen, and so they will really love this product altogether. There are people who wear sunscreen then powder, so they will also love this. 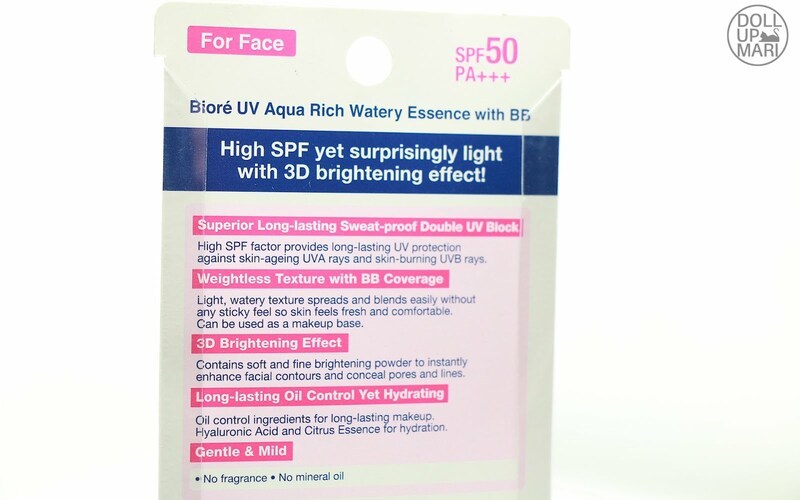 But for the people who need to use BB creams for the coverage, I'm not exactly sure how they will like that this is SPF 50 and their BB Cream is probably SPF 50. I personally like to layer on high SPF because of our sunspot history, but I know of people who are scared to layer on too much SPF for personal reasons. If you can get rid of most of your discolorations through spot correctors or concealers, I feel that you will already benefit from using this product alone and you will not need to worry if you're layering on too much SPF or not. Sun protection is very important! it really covers your blemishes Ms. Mari at hindi din siya super puti sa face just like geishas haha! Sana makapag try din ako nyan! My Etude House 500K Giveaway!!! Etude House 500K YouTube Giveaway!! !